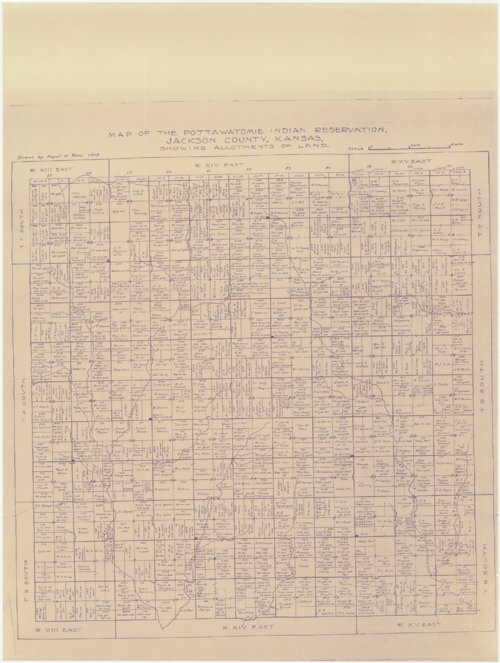 This is a map of the Pottawatomie Indian reservation in Jackson County, Kansas. Allotments of land are clearly identified with the owner's name. There are two versions of this map one is a negative blueprint and the other a positive blueprint. The latter is in better condition and easier to read.